The Bucktown Arts Fest is a non-profit, all-volunteer run, neighborhood celebration of the arts. All proceeds from the fest go to fund, develop and support arts education programming at Holstein Park and in the Bucktown/Wicker Park neighborhoods. Going strong for more than 30 years. What began as four artists showing their work in the park has grown into a community tradition that hosts an estimated 40,000 people each year. They are thrilled to be voted 2013 “Best Art Sale” in the Chicago Reader Readers’ Pick Poll. 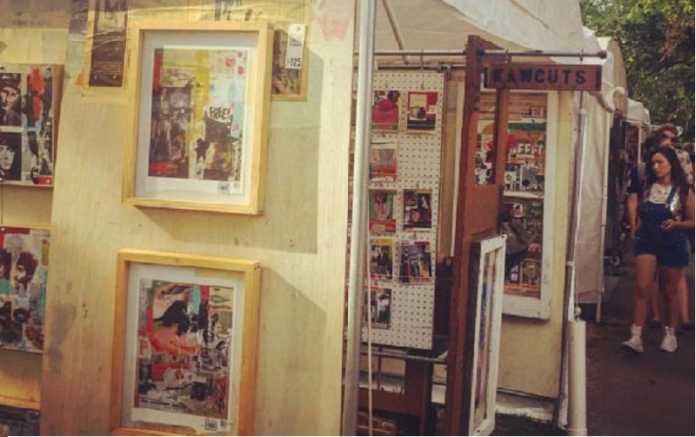 The Bucktown Arts Fest is free to the public. There is no gates and no donation request. True to their roots, they are an arts fest put together by the community, for our community. If you wish to support their mission, find donation boxes at the Info Tent and the Beer Tent or join their Buck Up Club. More than 200 volunteers sign up to work 2-hour shifts on the weekend of the fest to keep things running smoothly. Some even arrive with us at 5:30 am on Saturday or leave with us at 10 pm on Sunday. Together, they build a small city, take it down, and get it all cleaned up by Monday morning. It could not be done without their dedication. The artists are not mass producers. They are individual artists who are at their booths to share their work with you. Each year, our jury selects 190 artists to be invited to the fest.